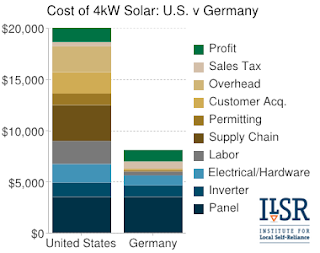 Green Topics - How to Go Green: Why is an American Solar Install so much higher than Germany? Why is an American Solar Install so much higher than Germany? This great little article from Grist(7-15-12) calls that thinking into question as regards the sourcing and install of residential PV(Photovoltaic) solar systems.